Bisphenol A (BPA) is an organic chemical used widely in plastic packaging. It uses including water bottles, baby bottles, dental fillings and sealants, dental devices, medical devices, eyeglass lenses, DVDs and CDs, household electronic and sports equipment. 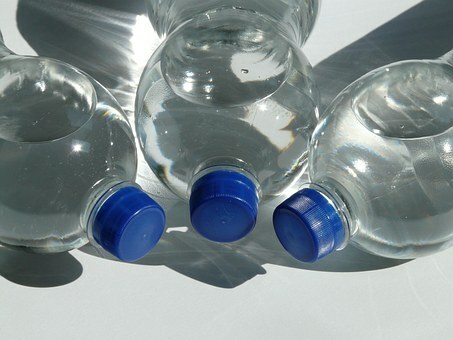 BPA can also be found in epoxy resins which is used as coatings inside food and drinks cans. Find products that are BPA-free. It isn't as hard as it once was. Many brands of bottles, sippy cups, and other tableware prominently advertise that they are BPA-free. Look for infant formula that is BPA-free. Many brands no longer contain BPA in the can. If a brand does have BPA in the lining, some experts recommend powdered formula over liquid. Liquid is more likely to absorb BPA from the lining. (Better still, breastfeed! Learn more here). Choose non-plastic containers for food. Containers made of glass, porcelain, or stainless steel do not contain BPA. Do not heat plastic that could contain BPA. Never use plastic in the microwave, since heat can cause BPA to leach out. For the same reason, never pour boiling water into a plastic bottle when making formula. Hand-wash plastic bottles, cups, and plates. Throw out any plastic products -- like bottles or sippy cups -- that are chipped or cracked. They can harbor germs. If they also have BPA, it's more likely to leach into food. Use fewer canned foods and more fresh or frozen. Many canned foods still contain BPA in their linings.